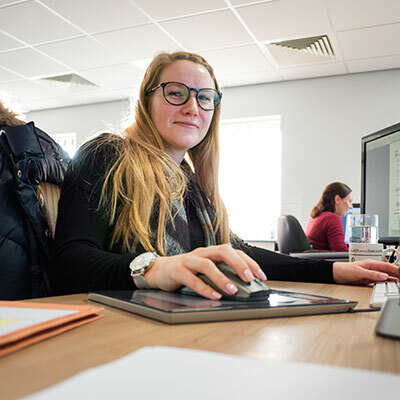 Hannah joined emc in August 2014 after completing a degree in Graphic Design at the University of Lincoln. She has a strong interest in and passion for editorial and layout design and typography, with an obsessive eye for detail. She considers design wherever she goes. She loves the thrill of life, grabbing new opportunities, learning new skills and pushing herself to the limit. She’s active in her spare time, figure skating, swimming, and cycling long distance to keep herself both physically and mentally challenged.